A felony on your record has serious consequences. Many individuals in this situation find themselves locked out of employment opportunities and other personal opportunities they wish to pursue. If you are looking for a trusted legal team to assist with felony expungement in Michigan, look no further than Lewis & Dickstein, one of the most aggressive and reputable firms in the area. The firm boasts years of experience helping individuals expunge felonies successfully. When your reputable and future employment is on the line, you do not want to hire inexperienced, half committed attorneys nor do you want to attempt to teach yourself the law in an effort to save a few dollars. Choosing an experienced team with a proven record of success will most likely be one of the greatest investments you will ever make. Perhaps you are living with a felony on your record. Most likely you are experiencing setbacks in gaining meaningful employment or renting an apartment or house. Living with a felony charge on your record can be one of the most frustrated experiences, and you may be suffering unnecessarily. The expungement team with Lewis & Dickstein offer a free consultation to potential clients, during which they can decide how to best proceed in your case. The attorneys at Lewis & Dickstein can help determine whether or not expungement is right for you, allowing you to finally move on with your life. 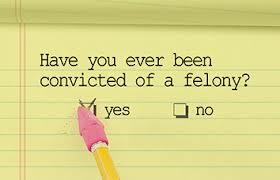 We have been able to represent many individuals who never thought expungement was possible. Felony expungement in Michigan is affordable and attainable. Felony Expungement in Michigan – We Can Help You! In addition to felony expungement in Michigan, the attorneys at Lewis & Dickstein are experienced in defending clients with a wide range of charges, everything from domestic violence to OWI to retail fraud and many more. No matter the client or charge we are dealing with, we defend our clients to the end and are determined to protect their rights. If you have a question about felony or misdemeanor expungement in Michigan, please call us for a free consultation at (248) 263-6800 or complete a Request for Assistance Form and a highly qualified criminal defense lawyer will call you directly.